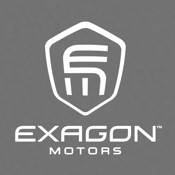 The Exagon Motors app lets you explore the universe of Exagon Motors™, a French carmaker that opens up a whole new era: electric mobility. Discover Furtive-eGT, a new approach to high performance motoring, a new on-the-road experience, a new philosophy combining sporty driving and comfort. Furtive-eGT is part of a prestigious tradition of outstanding GT cars. Maybe we’ve invented what you’ve always dreamed of!